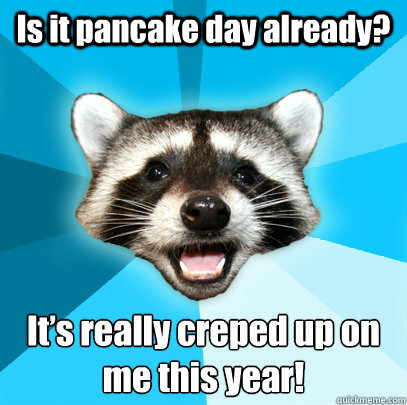 We practically ignore them all year long, but now their day is nearly upon us; pancakes are about to strike back. We’ve stocked up on syrup, chocolate spread, sugar, and lemons, then manage to forget precisely how to make pancakes. It’s been a whole year, after all. It’s time to retrieve our frying pans, warm up our wrists for the inevitable flip, and prepare for battle with the unpredictable cooking time. Pancake day has arrived. I don’t want anyone to panic. So, below is an easy recipe for the temperamental, but simple when you know how, beasts. Follow it carefully, and everything will be fine. Probably. *If you would like a savoury pancake, adding ham or cheese (or both), is a great meal to eat. And if you’re feeling adventurous, and trying to be healthy, add tomatoes and rocket to your finished pancake. If you have a microwave, place some oil in a cup and add the butter. Melt it using defrost, until all the butter has dissolved. If you don’t, place the oil in the frying pan first, otherwise the butter will burn. If vegan, just use the oil. Use a jug for the ingredients. This will help when pouring the mixture into the pan. Don’t put too much oil into the pan. You want as thin a covering as possible, otherwise the pancakes become greasy. If you’re making several pancakes, but don’t want to be constantly cooking, preheat the oven to 150°, and place them on a plate with a layer of foil on top. It will get better. Hopefully. 1. Mix the eggs, milk, and flour in a jug until smooth. Try and whisk out the lumps of flour! You can sieve the flour beforehand, but what kind of student has a sieve? A fork can be used for the whisking. 2. Heat the frying pan and place the oil and butter in it. Don’t worry if it spits! 3. Pour some of the mixture into the frying pan. You don’t want it to be too thick, so make sure you move the pan around to get an even covering. Turn the heat down to a medium heat. 4. Wait until the pancake begins to bubble, and you can easily slip a spatula underneath it. Flip it to cook the other side. For the more daring, it is time to toss the pancake. 5. If it’s a savoury pancake, add the cheese and/or ham so that they are heated through. Fold the pancake over so it’s in half. 6. 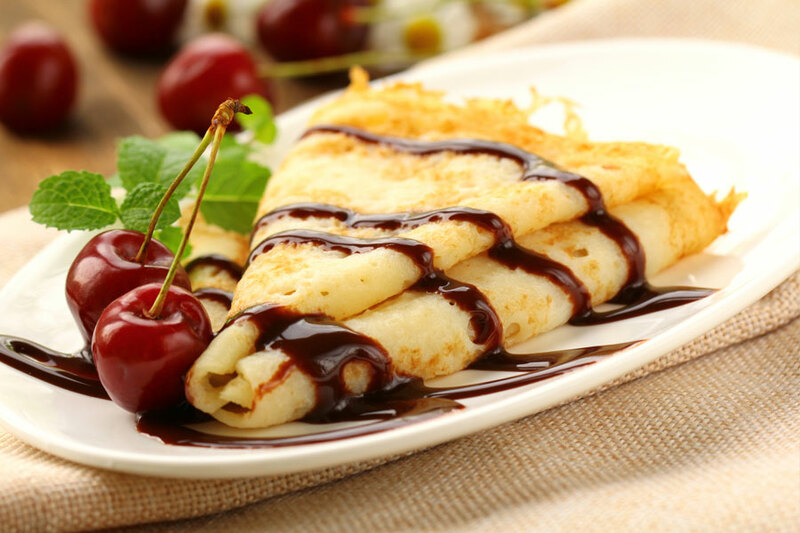 If it’s a sweet pancake, wait until the pancake is on a plate before adding your choice of topping. They should look like this. Most likely won’t. 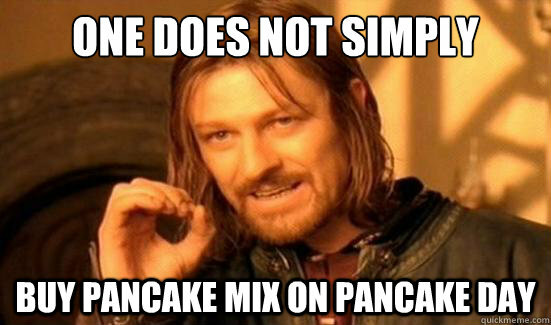 As pancake day draws to a close, I think it’s time to show them a bit more respect. Instead of ignoring pancakes for the next 365 days, (or if you observe Lent, 325 days), why don’t we make them more often? After all, they are relatively straightforward, cheap, and fast. Just remember that a pancake is for the whole year, not just for Shrove Tuesday. On that note, I would like to wish you luck in your pancake endeavours, and try not to drop them!